Jamyang Jinpa, 37, a monk from Labrang monastery, died after suffering severe torture in Chinese detention. Jinpa was detained following a protest in front of foreign journalists at Labrang monastery on April 9, 2008. Labrang is an important monastery in Sangchu (Chinese: Xiahe) county, Kanlho (Chinese: Gannan) Tibetan Autonomous Prefecture, Gansu province. Jinpa’s death on Sunday April 3, comes just weeks after the death of 42-year old Sangey Gyatso, another of the group of 15 Labrang monks who participated in the 2008 protest. Jamyang Jinpa was detained by armed security personnel (Wu Jing) late at night on April 9, 2008 at Labrang in Gansu province (Tibetan area of Amdo). Because of his strong English language skills, he had been acting as a guide for the group of foreign press who visited the monastery. The press tour was organized by the Chinese authorities in an attempt to show the situation had returned to normal following major unrest across Tibet from March 10, 2008, which included demonstrations at Labrang involving thousands of people taking part in peaceful protests. But when a group of 14 monks burst into the monastery courtyard to begin a peaceful demonstration in front of the reporters, Jamyang Jinpa recognized the rare opportunity and joined them, speaking to the journalists about the lack of human rights in Tibet. According to Labrang monks now in exile, the authorities contacted Jamyang Jinpa’s family to collect him from detention just over a month later on May 15, 2008. Jamyang Jinpa’s family took him for medical treatment and over the past two years his eyesight and mental health improved, but his overall condition continued to deteriorate and he died at around 10 am local time on April 3. Without knowing full details about the deterioration in Jamyang Jinpa's condition, it is impossible to determine the exact cause of his death. Even speaking about these matters could be dangerous for those close to him in Tibet, and for the same reason an open medical investigation would not be possible. It is known that Jamyang Jinpa was in good health before he was detained. According to a doctor consulted by ICT who has experience in dealing with individuals who have been tortured, Jinpa’s symptoms on release were consistent with severe torture: bleeding or hemorrhage in the brain can be a result of beating and kicking of the head, and in this case could have been conjoined with other factors such as damage to the kidneys, again due to beating or severe dehydration. This can result in chronic damage to the kidneys over a period of time, and can also be associated with direct damage of the nervous system. Beatings on the head can affect the stability of movement and visual perception. Jamyang Jinpa, who is from a nomadic family, became a monk at Labrang while in his twenties. He had escaped into exile in the early 1990s and studied both English and Tibetan in exile Tibetan schools in India. On his return to Tibet in 1996, he decided to be a monk, and because of his strong English language skills, he became the main English guide for foreign visitors to Labrang, working in the monastery office. Fellow Labrang monks now in exile in India paid tribute today to a monk they described as "strong and brave". One of them, Geden Gyatso, a friend for 14 years, said: “I first met Jamyang Jinpa in 1997 when the local government started a 'Patriotic Education' campaign in different monasteries in Tibet including Labrang. Even then he dared to express his feelings and negative reaction toward this political campaign. He was also very proud to be able to give us an explanation of the situation [of Tibetan exiles] in India because of his experience [in Dharamsala]." Another former Labrang monk with the same name as the monk who died, Jamyang Jinpa, participated in the same protest in front of foreign press in April, 2008 and later escaped into exile. He said: "We knew each other for many years, because we were studying in same monastery, but we didn't always share our thoughts because of the tense atmosphere and fear of saying anything about politics. But once I heard Jamyang Jinpa speak about his experience in India, and at that time he was seriously opening up in order to share the experience and especially to speak about the Tibetan freedom movement in the outside world. It was a very interesting and important lesson for us inside." Following the protests at Labrang monastery in March and April 2008, armed police were deployed “in every corner of the monastery” and searched all of the monks’ quarters. Numerous Labrang monks were detained and many severely tortured. One monk who had participated in the March, 2008 protest, Tsultrim Gyatso, was sentenced to life and another, Thabkhe Gyatso, to 15 years in prison. The authorities did not inform family members of the trial and denied them access to the monks during the year-long pre-trial period. Three of the 15 Labrang monks who participated in the protest in front of the journalists in April, 2008 and who went into hiding afterwards managed to escape to India, where they were given a heroes welcome by Tibetans in exile in Dharamsala. One of them, Lobsang, told the New York Times in an interview that they decided to protest in front of the reporters in order to express their feelings to the outside world. 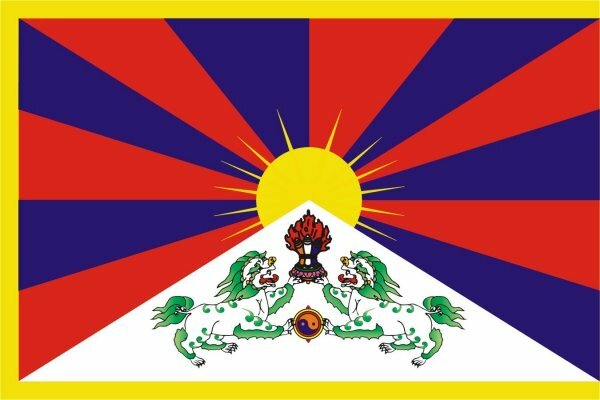 “The protests were caused by human rights issues and Chinese policies towards Tibet. We couldn’t tolerate it anymore. I joined the protests with the idea of saving Buddhism, which is endangered by Chinese policy. I want His Holiness the Dalai Lama to return to Tibet, but the Chinese don’t even allow us to display his picture.” (New York Times report and video, June 20, 2009,http://www.nytimes.com/2009/06/21/world/asia/21tibet.html). Forty-two year old Sangey Gyatso, who died on February 26, 2011, was one of the organizers of the protest in front of foreign press at Labrang monastery in 2008 as well as earlier demonstrations at the monastery. He died after living for more than a year in hiding.